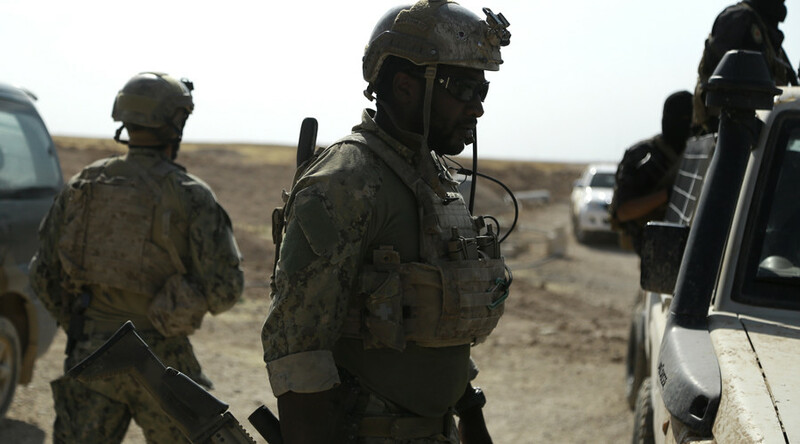 US Special Forces operatives have been photographed fighting alongside the Kurdish militia in northern Syria in a drive against the Islamic State-held city of Raqqa. The Pentagon insists the Americans are there in “advise and assist” capacity only, however. 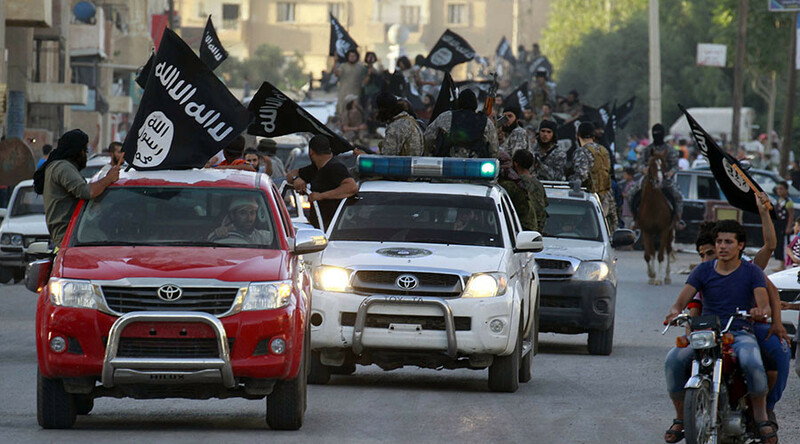 A photographer for Agence France-Presse (AFP) took pictures of the American special operatives in what The Washington Post identified as the village of Fatisah, roughly 30 miles (48 km) north of Raqqa. Kurdish fighters from the People’s Protection Units (YPG) – part of the US-backed Syrian Democratic Forces (SDF) fighting against Islamic State (IS, formerly ISIS/ISIL) in northern Syria – identified the men as Americans. 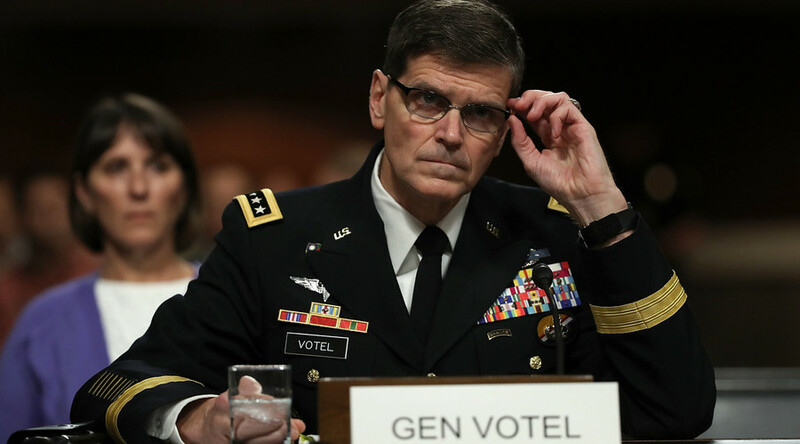 The SDF launched a push against the IS capital this week, following the secret visit to the northern Syrian region by General Joseph Votel, head of the US Central Command (CENTCOM). The Post’s Checkpoint blog confirmed the identification, noting that one of the images shows three men operating a 40mm Mk 47 automatic grenade launcher, a specialized weapon used by US Special Operations units. There were more than a dozen US troops in the village, according to the photographer. The White House has admitted to the presence of up to 300 US operatives in Syria. Some of the men can be seen wearing the YPG insignia. The Kurdish militia forms the bulk of the SDF and has been responsible for most of the gains against the IS in northern Syria. Turkey, a key US ally in the region, regards the YPG as a terrorist organization. Some of the US-backed rebel groups in Syria are likewise hostile to the Kurds, and may take offense at the US troops’ use of the patch, Checkpoint noted. “Our special operations forces in the past have, yes, worn insignias and other identifying marks with their partner forces,” Pentagon spokesman Peter Cook told reporters on Thursday. They “do what they can to blend in with the community” and enhance their own protection, Cook said, citing operational security in refusing to confirm or deny any details about the troops involved. Cook also ducked repeated questions from reporters on whether the troops that were supposed to advise and assist the local militia were actually taking part in combat on the front lines. The village of Fatisah is not exactly on the front line of SDF operations against IS. It can be seen in the upper left corner of this map of combat operations north of Raqqa, made by a Canadian cartographer following the war in Syria. Another controversy about the US troops’ presence in Syria went unaddressed at the Pentagon briefing. While the Russian expeditionary force was deployed to fight IS at the official invitation of the Syrian government, no such invitation was extended to the US troops. Washington has refused any cooperation with Damascus, insisting on a change of government that would favor the rebels backed by US allies Turkey and Saudi Arabia.